Twitter briefly suspended the account of conservative provocateur Milo Yiannopoulos on Wednesday, prompting immediate accusations that the social-media giant was suppressing free speech. “The account you are trying to view has been suspended,” a message read when users attempted to access the Breitbart editor’s account. It was not clear why Yiannopoulos’ account was suspended, but it was restored shortly after. “I’m back,” he tweeted after being permitted back on the social media platform. When his account was restored, Yiannopoulos appeared to have lost more than 100,000 followers. “I’ve lost tens of thousands of followers — not sure if database issue or Twitter shenanigans. Make sure you’re still following me!” he tweeted. A representative for Twitter did not immediately respond to a request for comment. Neither did Yiannopoulos. “#FreeMilo” continued to trend on Twitter in the US. The brief suspension came the same day Yiannopoulos planned to deliver a press conference outside an Orlando mosque. Yiannopoulos has a history with Twitter. Earlier this year, the social-media giant ignited a firestorm of controversy when it removed his blue verified badge. 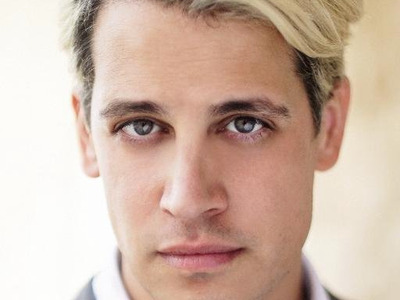 Yiannopoulos alleged it was due to a satirical comment he made on feminism. Twitter declined to explain the move. Milo Yiannopoulos is a regular columnist for Business Insider. You can read his past columns here.